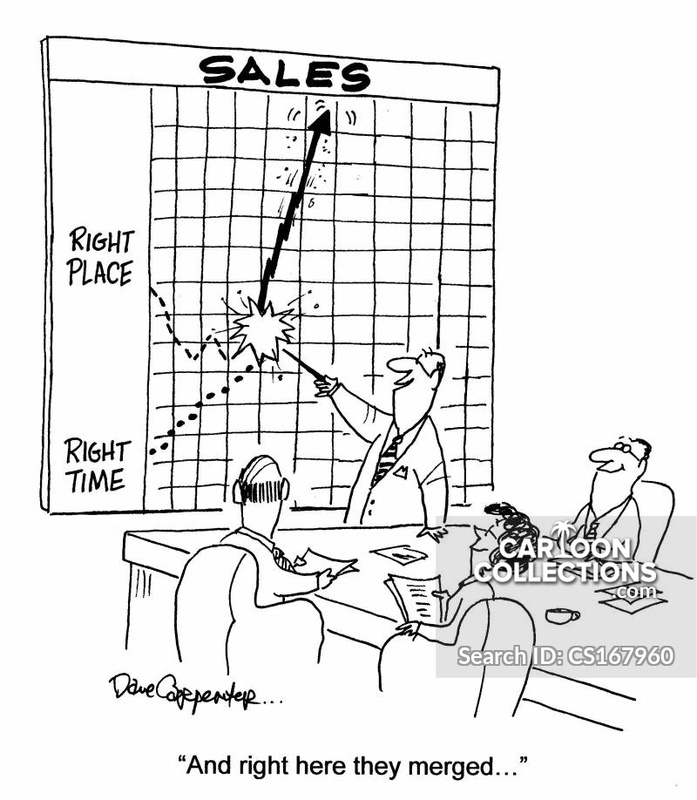 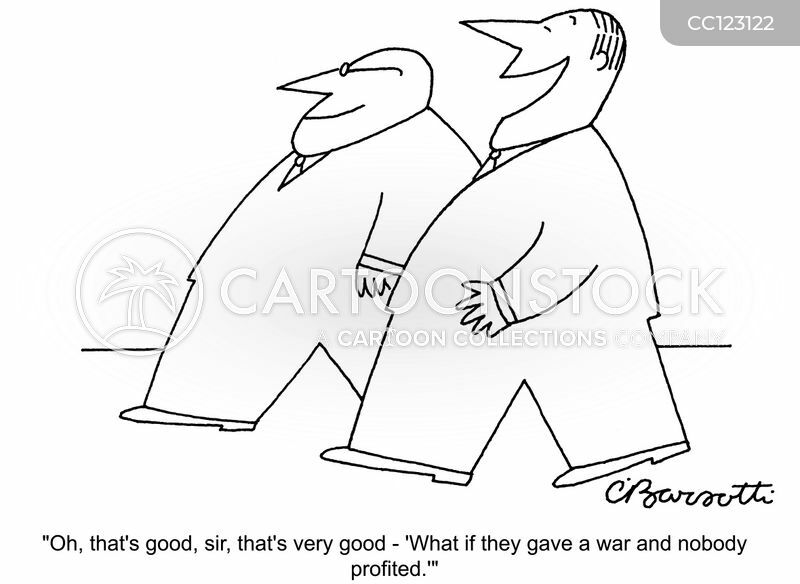 "Oh, that's good, sir, that's very good - 'What if they gave a war and nobody profited.' 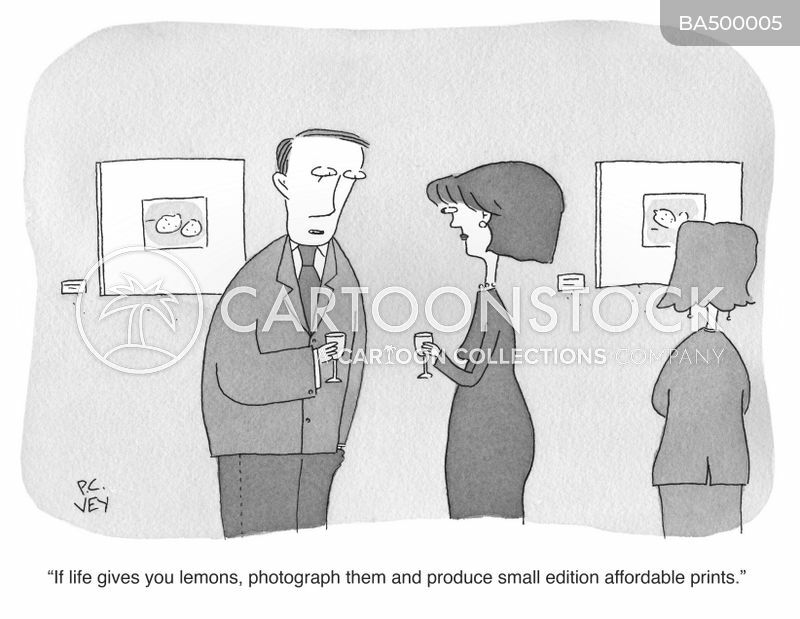 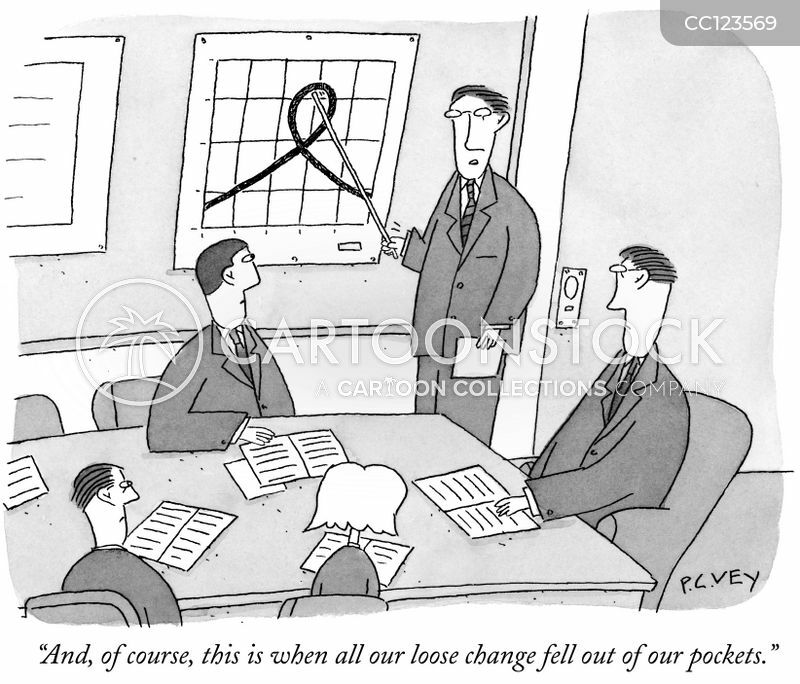 "
"And, of course, this is when all our loose change fell out of our pockets." 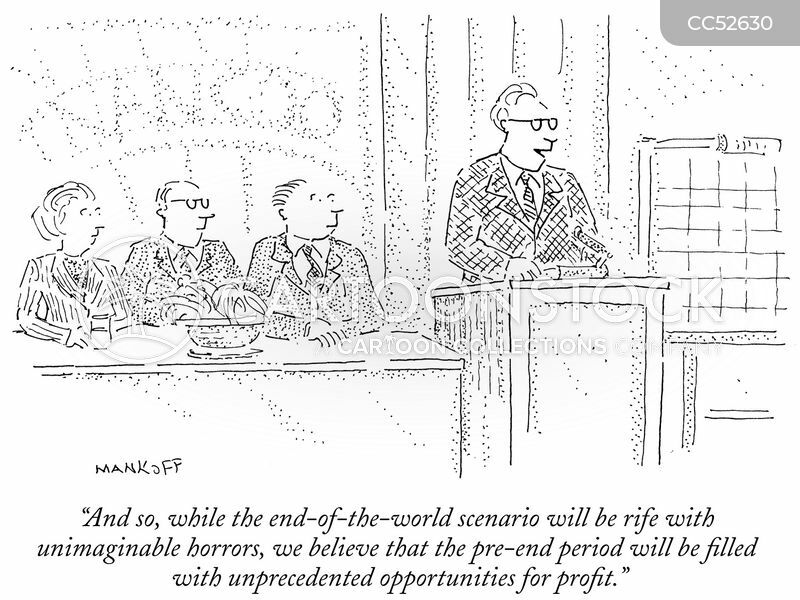 "And so, while the end-of-the-world scenario will be rife with unimaginable horrors, we believe that the pre-end period will be filled with unprecedented opportunities for profit." 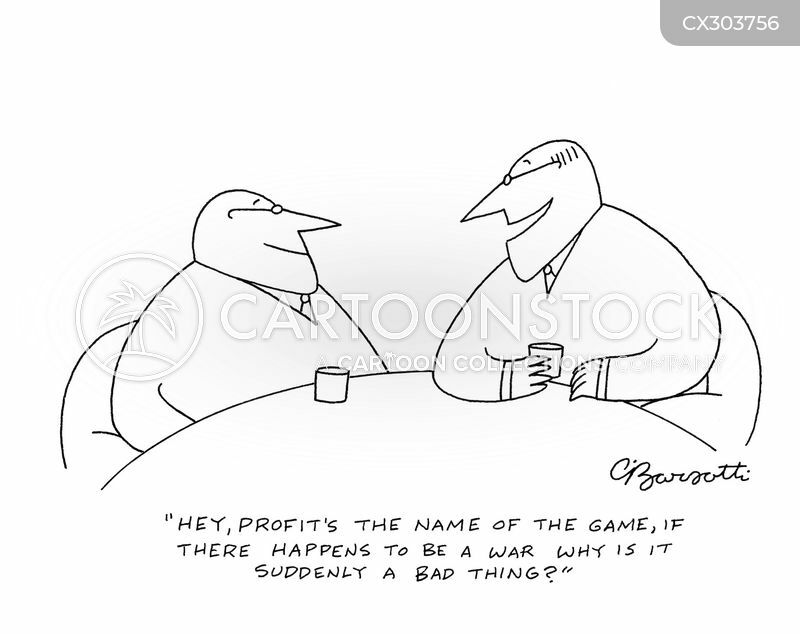 "Hey, profit's the name of the game, if there happens to be a war why is it suddenly a bad thing?"